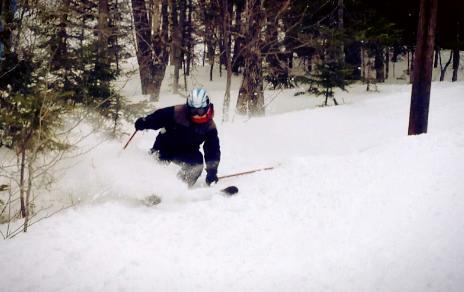 @MaineSkiFamily called an audible and made a trip to Black Mountain of Maine today instead of hitting Saddleback like we usually do. We were a bit rattled by the high wind forecast for the higher elevations, so we decided to visit one of our favorite mid-sized mountains. We figured the southern facing slopes of Black would shelter us which they did. In the end the lifts turned at Saddleback which was great for them, but we also had a good time at Black. The groomers were spot-on at Black. Very creamy for our first few runs. With the mountain only open Friday to Sunday, we thought we would find some nice untracked snow from the mid-week storm. While the southern slopes sheltered us from the wind, it also allows the sun to really beat down on the slopes. What ended up happening in the natural terrain is the first inch or snow of powder melted, then froze overnight causing a crust on the snow. A bit disappointing in that Black had cut a bunch of glades but we really could not get in them. In some of the shady areas, the snow stayed soft but for the most part a solid crust had formed. The temps warmed above freezing in the afternoon which helped loosen things up a bit. Overall it was still a great ski day. Black has great intermediate cruiser runs that are a lot of fun. It was the last weekend of the season for them so they had a bunch of family friendly events going on. We participated in the fire hose race and came in fourth. 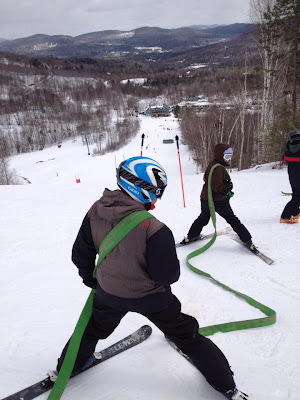 Somehow the @MaineSkiFamily old man skied over the hose on the course and got it wrapped around his leg. But I stayed upright and we all finished with smiles on our faces. There was a nice crowd a Black which was great to see. Lots of families enjoying the slopes together. I have skied both Black and Big Rock this year, both owned by the Maine Winter Sports Centers. They only charge $15 for a lift ticket which is an unbelievable value. Good for them to promote healthy and affordable winter fun! I think my wife and I are going to ski on the Friday of the AZ Summitt----daycare drop off in So NH at 7 then point the car to either Saddleback or Black. We were SB passholders for 2 yrs and know/LOVE the mtn well. It appears to be about 20 mins less drive time to go to Black and onto SL vs SB. Am I crazy to consider Black and pass up SB? I like trying new mtns but just want to be sure there's enough to keep us entertained for probably 3-4 hrs. Price is certainly right! 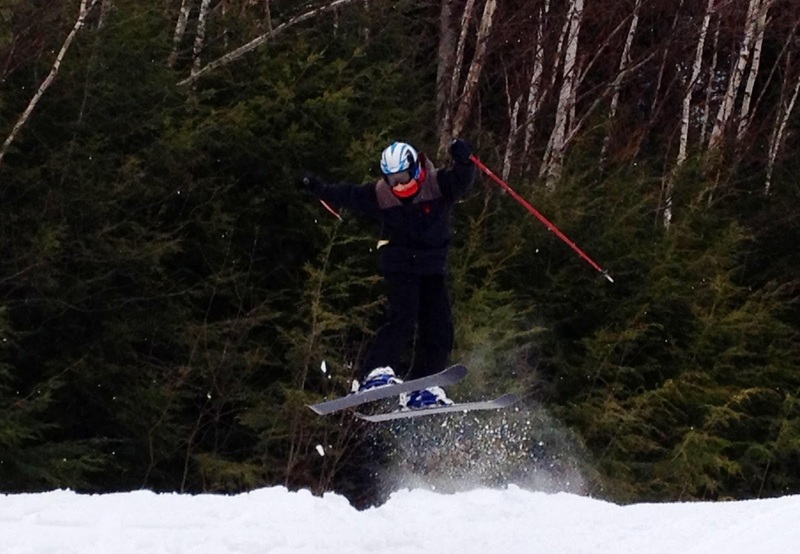 My wife loves groomers and it would be cool to have her check out some low angle glades. It will really depend on the snow conditions. If Black is wide open and has plenty of cover, you can definitely keep entertained for a day there. The pitch of the trails is equivalent to Red Devil / Blue Devil at Saddleback. Nothing super major but they are fun cruisers. Black has done a lot of work lately on glades and I have not yet hit a good snow day there, but I think they would be a lot of fun if the conditions were right. If the conditions / cover is marginal at all then I would recommend SB as they are colder and snowier usually. Regardless have fun!